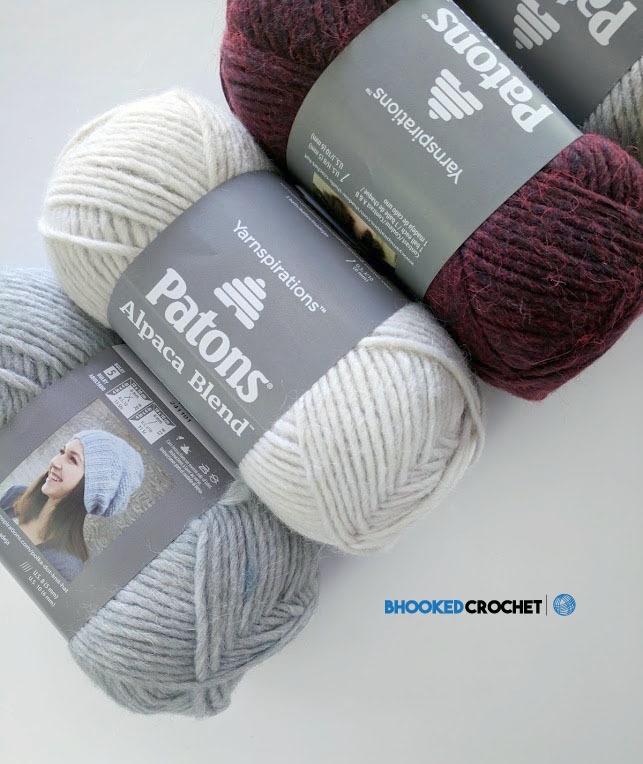 I’ve teamed up with my friends again at Yarnspirations to bring you a fresh new pattern and tutorial featuring their new yarn (and one of my favorites), Patons Alpaca Blend! I love how organic it looks and how soft it feels. This is now the most cuddly scarf I own! Chevrons are one of my favorite stitches. They are modern, easy to crochet and available in so many unique varieties. For the Comfy Chevron Crochet Super Scarf, I used a beginner-friendly chevron stitch pattern with a simple one row pattern repeat. 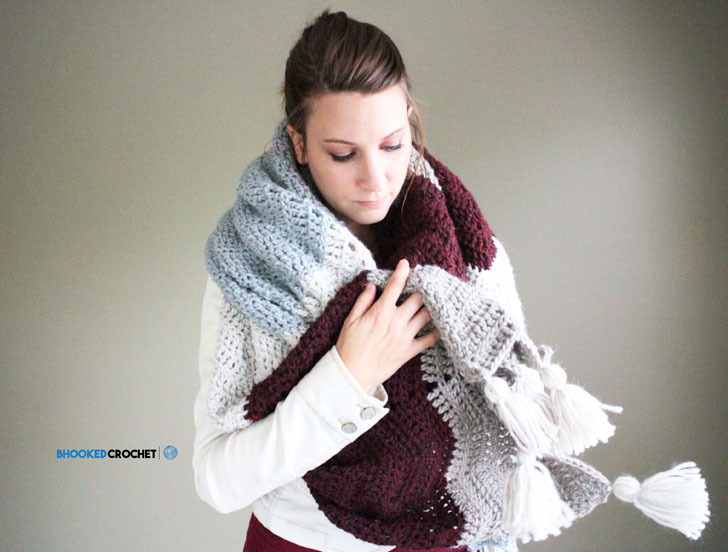 It’s the perfect pattern to introduce yourself to chevron crochet patterns! Patons Alpaca Blend yarn is available in 24 different shades that cover your neutrals, fall hues and even a little pop of color. I can’t wait to see all the color combinations you come up with! Plan your color combo and then share it with me in the comments! Even if you have a dozen other projects on your hooks, this beauty is something you should consider. 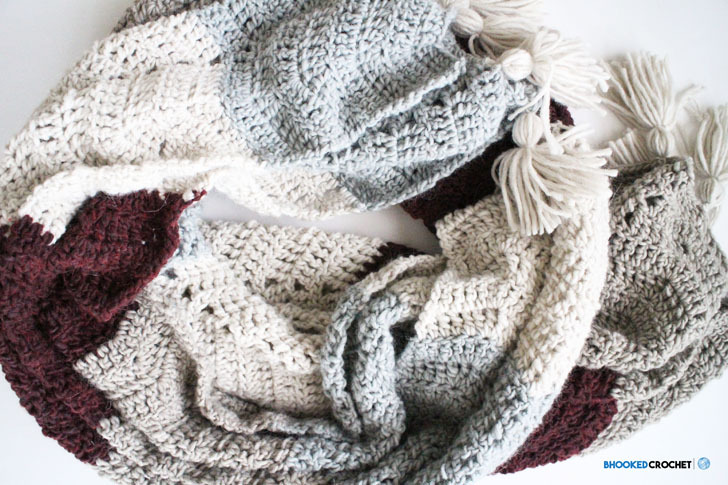 You’ll have a super cozy super scarf in just a few productive weekends! 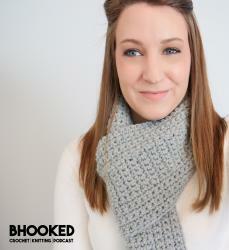 If you haven’t done so already, have a look at the pattern and the video tutorial. 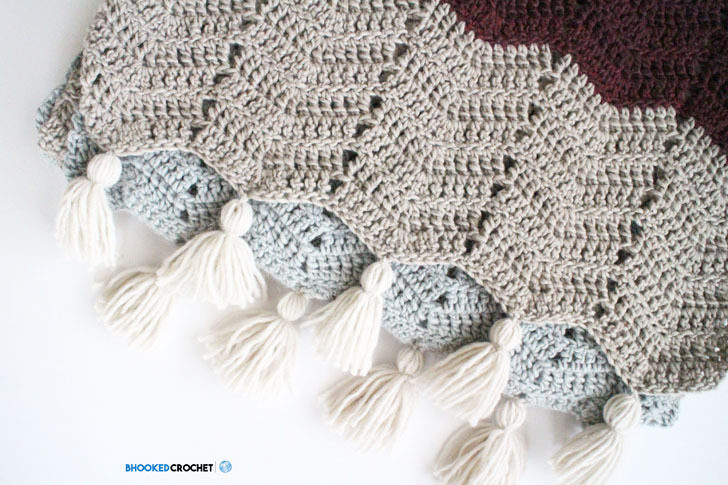 Using the links above, you have access to all the information you need to decide if the Comfy Crochet Chevron Super Scarf is the right project for you. I know you’ll have as much fun as I did with this project. If you need any help whatsoever, I’m here for you! 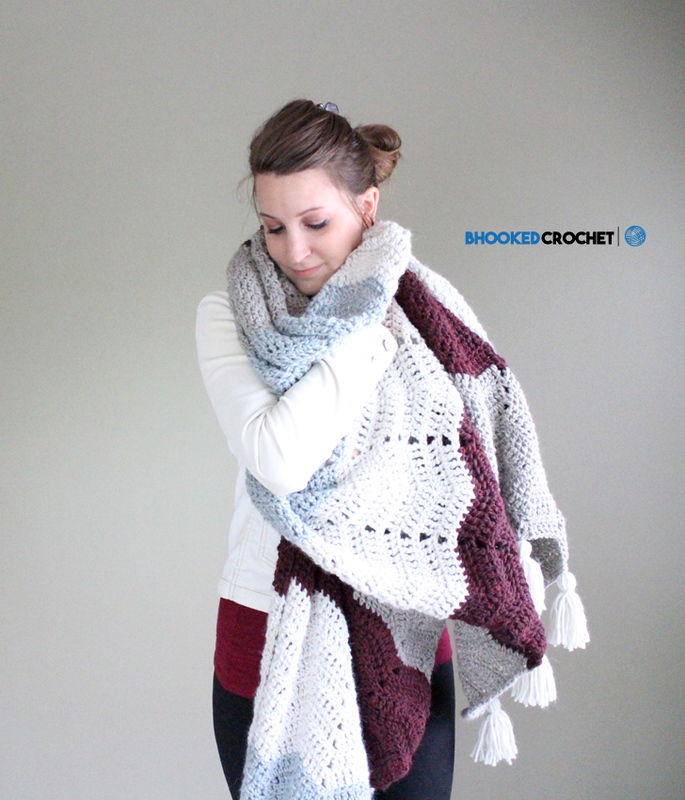 Please don’t hesitate to reach out to me via email – brittany@bhookedcrochet.com – or leave a comment below. I’ll answer any questions that may come up!